1. 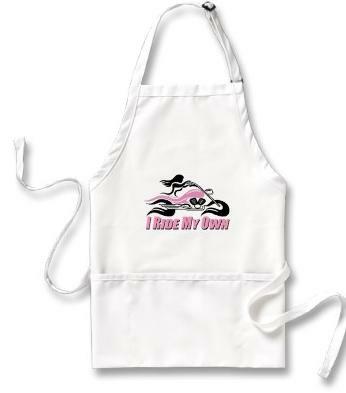 A Ride on My Own Apron: If your mother loves to cook and bike (not at the same time, of course), this is the ultimate gift! To view purchasing details, click here. Image above taken from Zazzle.com. 2. Bumper Sticker: Who doesn’t love a great bumper sticker? To view purchasing details, click here. 3. 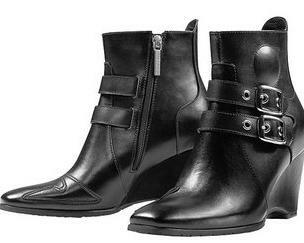 Icon Women’s Hella Boots: Your mother will definitely be styling in these boots! Made from cowhide leather, these fashionable boots look great both on and off the bike. To view purchasing details, click here. Image above taken from RevZilla.com. 4. 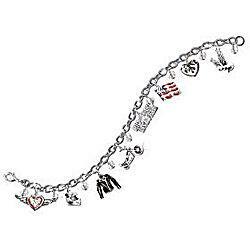 Motorcycle Charm Bracelet: If your mother loves jewelry, you’ll definitely want to get her this motorcycle charm bracelet to dress up any motorcycle outfit. To view purchasing details, click here. Image above taken from FindGift.com. 5. 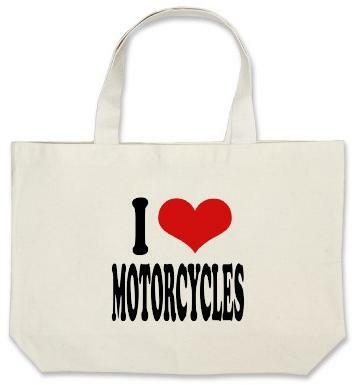 I Love Motorcycles Tote Bag: Spread the love with this I “heart” motorcycles tote. Perfect for a weekend getaway, or trip to the beach or grocery store, this tote can serve all different purposes. To view purchasing details, click here.